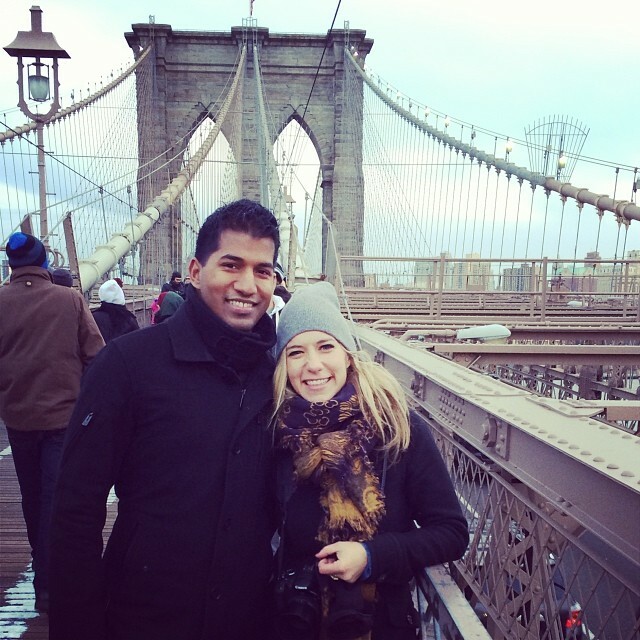 Spent the last days of 2013 in New York City with Naveen. Here we are walking across the Brooklyn Bridge in below freezing temps. DSLR pics of the trip to come. Since this is the first post on my blog, I guess I should mention why I’m starting this whole thing. My new years resolution last year was to learn a new skill. Anything I wanted, I just had to be able to say, I can do [insert new skill] at the end of the year. So I bought myself a camera and signed up for photography classes. After a year of learning and dragging my boyfriend around the city to practice, this years’ resolution is to stop hoarding my photos and share them on the world wide web. Be warned, I’m still very much an amateur, so enjoy at your own risk. It also just so happens that this year is going to be very different than the last. I will be attending a Frontier Market Souts training in Monterey California, moving to India for a good part of the year, and probably filling up the rest of the months with travel and misadventures. More about what I’m doing in India to come, but for now, I’m just feeling lucky to have had such a great year and to have spent so much of it exploring California. 2014 is going to hold some crazy new adventures–ready or not, here I go.